Many patients who have been prescribed anticoagulants for Atrial Fibrillation also have chronic kidney disease.The researchers of UCL, St George’s, University of London and the University of Surrey have found out that Anticoagulants increase stroke risk in people over 65 with kidney disease .Their findings have been published in the BMJ. “Chronic kidney disease is common among older people, and one in three people affected also have atrial fibrillation, commonly called an irregular heartbeat – and for that, they typically get prescribed blood thinners to reduce their risk of stroke. We found that in this particular group, their medication seems to do the opposite of its intended effect,” said the study’s first author, Dr Shankar Kumar (UCL Centre for Medical Imaging). The researchers estimate that close to half a million people over 65 in the UK have both chronic kidney disease and atrial fibrillation. 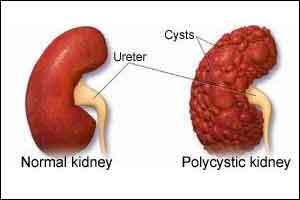 “People with chronic kidney disease tend to have numerous severe complications, including cardiovascular illnesses. As their blood clots more but they also bleed more easily, it is extremely difficult to strike a balance between different treatments,” said senior author Professor John Camm, professor of clinical cardiology at St George’s, University of London. “As we found a paradoxical reduced mortality rate alongside increased rates of stroke and major bleeding, this is clearly a very complex area. We strongly call for randomised controlled studies to test the clinical value and safety of anticoagulant drug therapy for people with both atrial fibrillation and chronic kidney disease,” said Dr Kumar. In the population-based, retrospective cohort study, the researchers used a Royal College of General Practitioners database to identify 4848 people over 65 with chronic kidney disease and newly diagnosed atrial fibrillation, half of whom were on anticoagulants and half were not. The participants were monitored for a median of 506 days. Over the study period, participants who were taking anticoagulants were 2.6 times as likely as those not on anticoagulants to have a stroke, and 2.4 times as likely to have a haemorrhage. The crude rates for ischaemic stroke (the most common type) were 4.6 per 100 person years for those on anticoagulants, and 1.5 for those not on blood thinners (in other words, if the participants were followed for exactly one year, there would be an estimated total of 4.6 ischaemic strokes per 100 people in the blood thinner group and 1.5 ischaemic strokes per 100 people not on blood thinners). Mortality in the anticoagulant group was slightly lower; the researchers speculate it may have been due to a reduced risk of fatal strokes or heart attacks, but they say that more research is needed. “Our work shows the power of big data in providing real world evidence to study important clinical scenarios. Until more data is available, general practitioners, nephrologists and cardiologists need to weigh up the risks and benefits of giving an anticoagulant and make a decision together with their patient,” said co-author Professor David Goldsmith (Guy’s and St Thomas’ NHS Foundation Trust and St George’s, University of London).